BLAH BLAH OF THE MIND: A Scorpio Hillary or a Leo Obama? A Scorpio Hillary or a Leo Obama? You read that right. An international news website has performed a data analysis on the zodiac signs of world leaders. Now, hold on. Why would they do something like that you ask? Just why does any other person with a social media presence look for subjects to ponder upon and talk about. That's your answer, right there. So anyway, as it turns out, the zodiac sign which seems to be ruling the world is Scorpio followed closely by Leo and then Sagittarius. So a Leo by nature is supposed to be a leader. Trust me, I've seen that trait in many a people from that zodiac. So Obama being a Leo is not at all surprising. What do I say about a Scoripion, do we have a better example than Hillary Clinton. She has amply displayed unshakable focus over the last 15 years, having turned around a defamatory Lewinskygate into a successful personal political career. And her secretive nature couldn't be more evident, as she very gracefully tackled the tension and the public wrath against her husband, while apparently maintaining a distance behind close doors. A well-balanced personality David Cameron is a Libran. And true to his zodiac, he is a good debater. Some might say this could be attributed to his strong educational background. After all he is an Eton alumnus. Closer home, NaMo is a Virgo. Attention to detail and an analytical nature are some of the traits which would aptly fit him. He has also demonstrated how this zodiac pushes others to perform better. One case in point is the system he created. For checking the attendance and hours worked in real time, of ministers and government officers. Whether the Modi Government has delivered as per expectations or not is a debatable issue, but that does not undermine NaMo's quality traits. Have you ever wondered what the zodiac of Rahul Gandhi is. Guess what, he turned 45 yesterday. (Alas, the hazards of modern day writing, you've got to look up on every relevant public figure.) So he's a Gemini. And the Congress party has issued a statement 'Rahul is not going anywhere now.' Why have they issued such a statement? Coz Rahul has always spent his birthdays abroad. But given the state of affairs in the party currently, and after Rahul's infamous sabbatical, mamma's not treating our birthday boy with foreign tours any more. A Gemini is supposed to be of dual nature, having two sides to his personality. So lose no hope friends, there is a side to his personality which we haven't seen yet. I wait with bated breath. 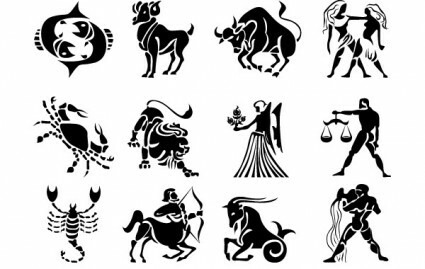 With the U.S. General elections slated for 2016, should you be guided by the candidates zodiacs for making a decision? Absolutely not! Yeah some people may strongly reflect the traits of the zodiac to which they belong but that's not the rule. There may be many exceptions. The only thing that should determine your vote is your wisdom. PS. Who could stop us though from playing our own little fun game? Tell me your zodiac, your observations. If you don't believe in the concept and find it totally bizarre, perfectly alright. Just tell me your thoughts. Excellent article. I would love to read about zodiac signs as a teenager and try to make others believe whatever I concluded based on people's signs. Being a Leo myself, it was necessary to lead, forcing others to follow! People born specifically on the 1st of May are believed to be strong willed and ambitious but more laid back and assertive, a true characteristic of a Taurus. As we are governed by Sun it makes us persistent, enthusiastic about life and full of energy. Highly observant you will seize opportunities presented to you and generally like to see them through to completion. Although you have a high degree of patience you can also be impatient and restless from time to time. Individuals with a May first birthday usually have honest and practical natures but can be a little awkward and uncommunicative. I would like to believe that i have most of these traits. What do u think di ?? Sumeet you are indeed very energetic. And I couldn't agree more about your ambitious and persistent nature. You do seem to be a Taurean to the core! Interesting to see how you have linked leadership traits to there zodiacs. Stars seem to have a major impact. The Dil Maange More Sequel!